I finally got to start working after I took a mandatory class on how to serve alcohol responsibly. hahahaha…. everyone has to take it even if you’re not serving booze. I still have more corporate indoctrination classes to look forward to, but I couldn’t start working until I took the alcohol class?? Moving on…. 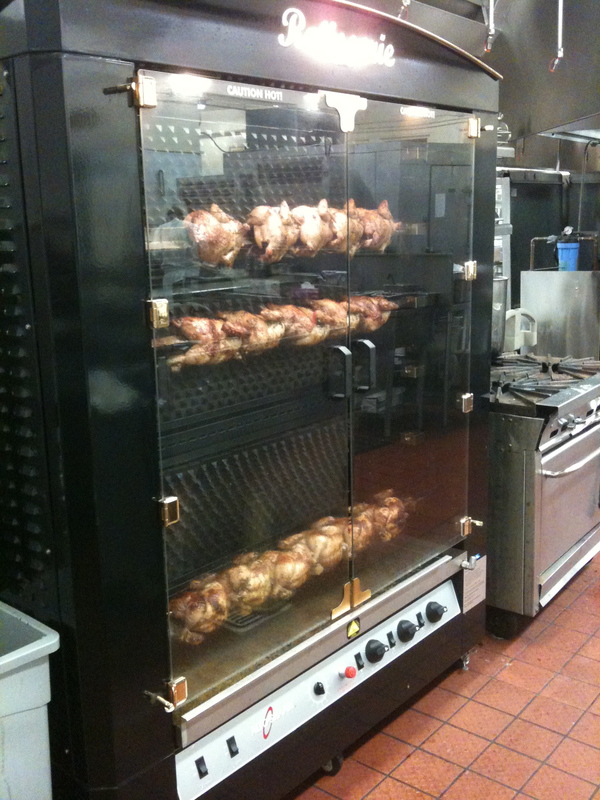 I have worked two full days in the kitchen 6am to 2:30, it’s busy, fun and you never stop. In the last 2 days I’ve baked a zillion muffins, cookies, pastry, chocolate dipped strawberries, pancakes, waffles, dessert sauces, scones, prepped breakfast and lunch service for the pastry dept. I’ve met a few new people each day- one old guy calls me the quite girl LOL, he sure doesn’t know me yet! Most of the people I work with have been at the Ahwahnee for over 10 years, several people 20-25 years. It’s a huge kitchen and a huge staff and it’s not even summer! I asked if pictures would be ok and they are so here is a quick tour of my last 2 days. Top photo- Bruce the baker, makes ALL the bread, amazing. Bottom photo- front of the line. 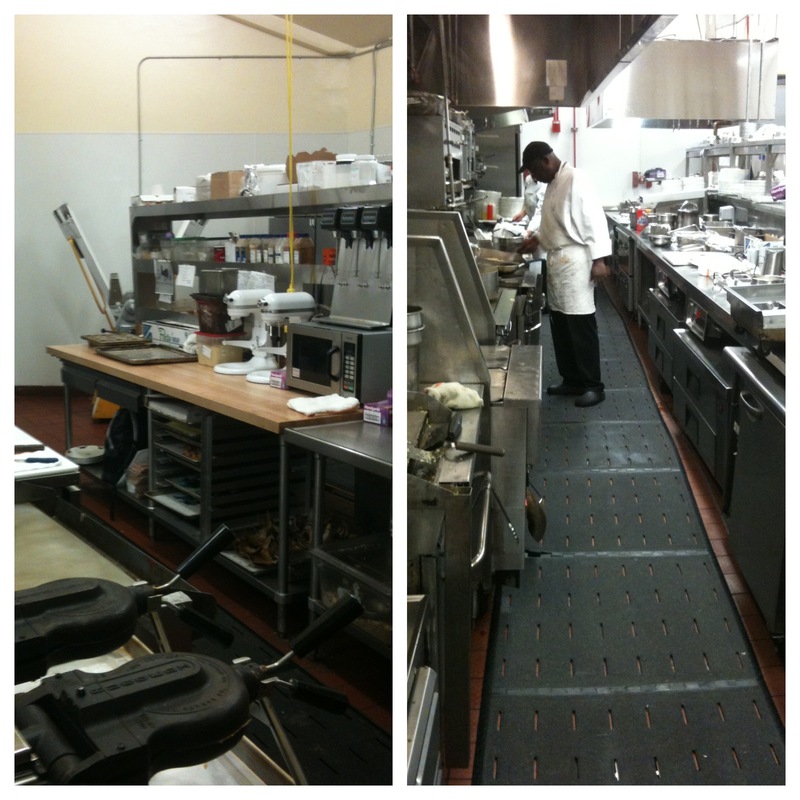 Left photo- pastry kitchen where I spend my day. Right photo – the line – Chef Larry, makes a mean veggie omelet I want one of these in my house Three weddings today- popular date 11/11/11- I did not participate in these cakes, just watched in awe as they were assembled so quickly. 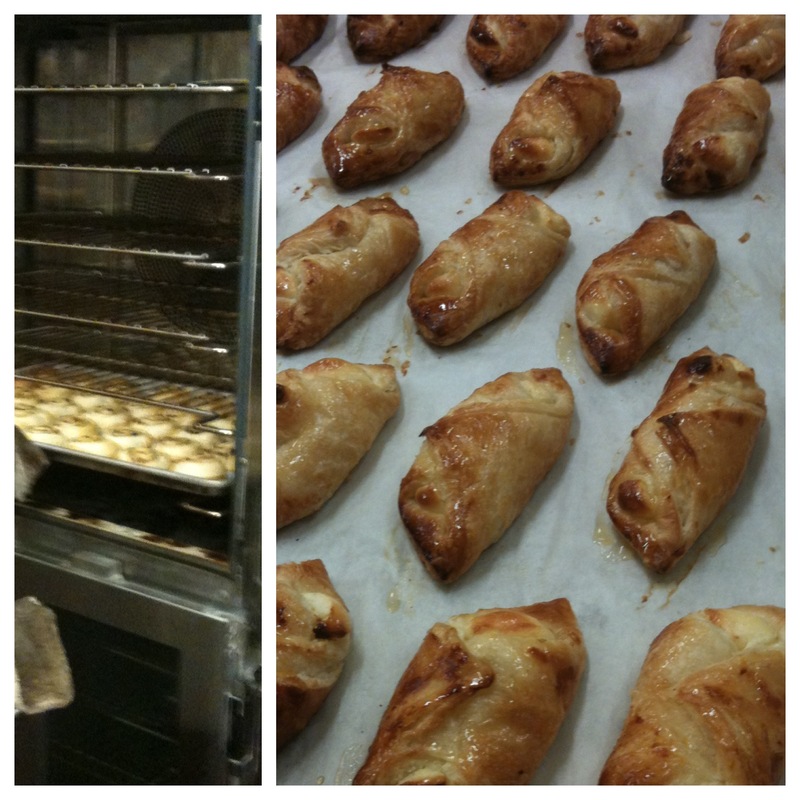 Cheese Danish- seriously a zillion of them! 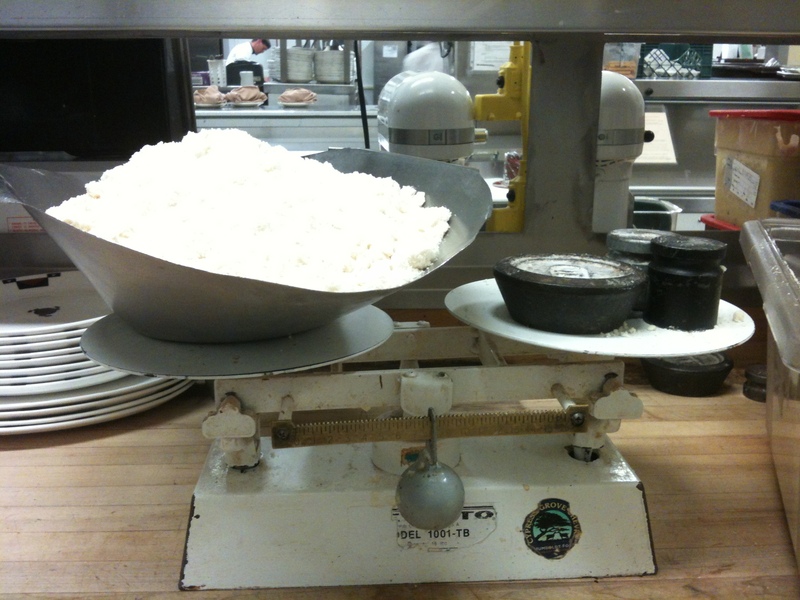 This is the scale we use in pastry, it has to be as old as the hotel. kinda cool. 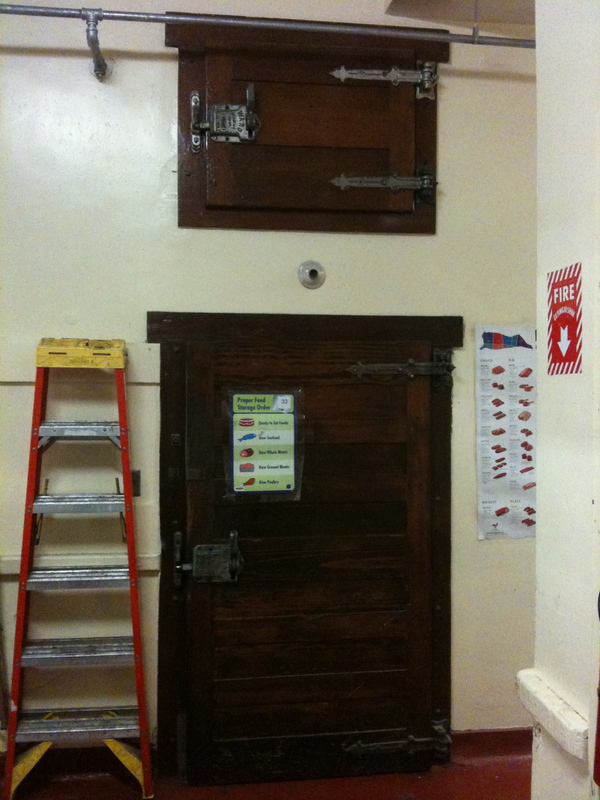 This is the last original wood walk in door, above it is where they used to keep huge chunks of ice to cool the section below it, before refrigeration. There are 5 or 6 old walk ins like these on one side of the kitchen and there are probably 10 more walk ins that are bit more modern throughout the kitchen. 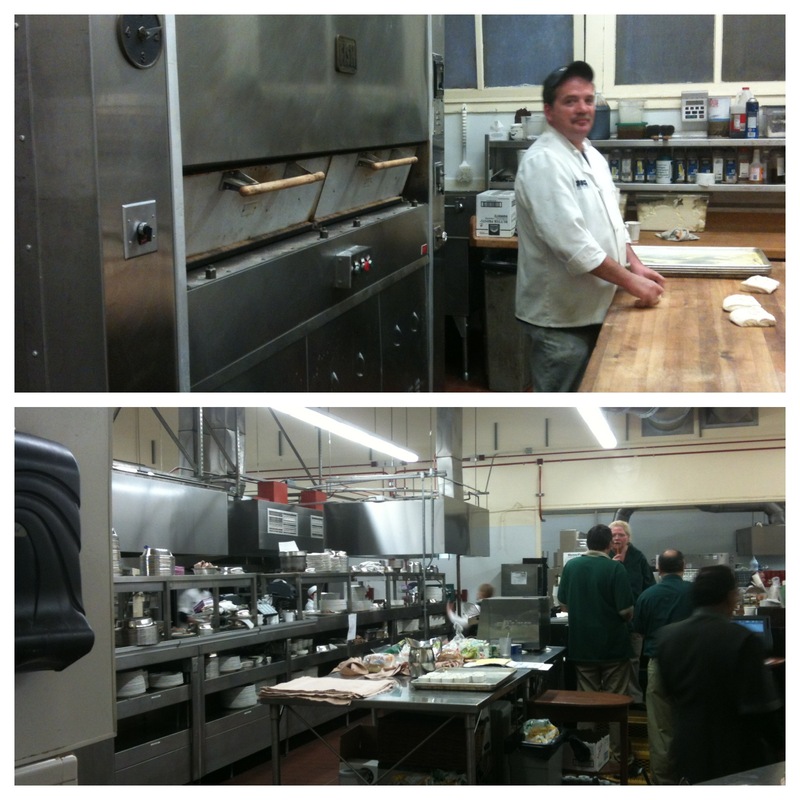 It’s a thrill to walk in this kitchen and then I get to hang out and work here. 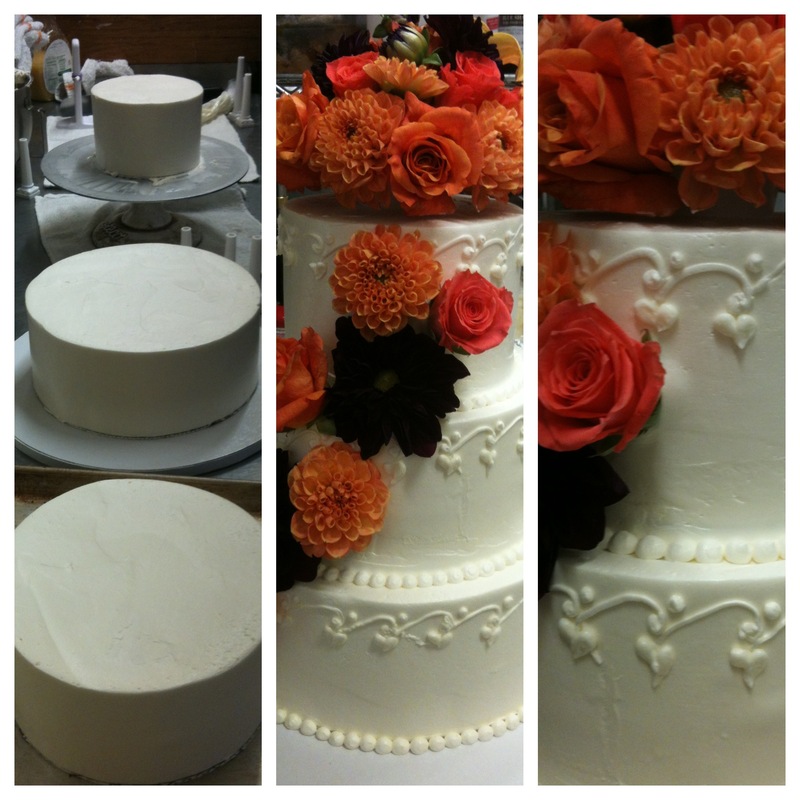 This entry was posted in Yosemite and tagged Ahwahnee, culinary internship, yosemite by Sarah. Bookmark the permalink. Is that really tape on that beautiful walk-in door? My parents would have a fit! Nice digs, Loud Girl! So sad to leave you today, baby girl. But you’re work will pick up and you won’t know what hit you. I sure hope you can change your domicile! I love the way you write and all the photos. I’m sure you know that since you started this blog, you already have two books written, at least you will have two by March of next year. A possible title?… Chronicles of a Chef. There is the culinary school experience and now this adventure in Yosemite.